This year we have committed ourselves to a big endeavour: to develop and test the first working prototype of our Bluebloqs rainwater harvesting system. Going from technical principles and concept sketches through extensive modelling, prototyping and testing to a full-scale working system! 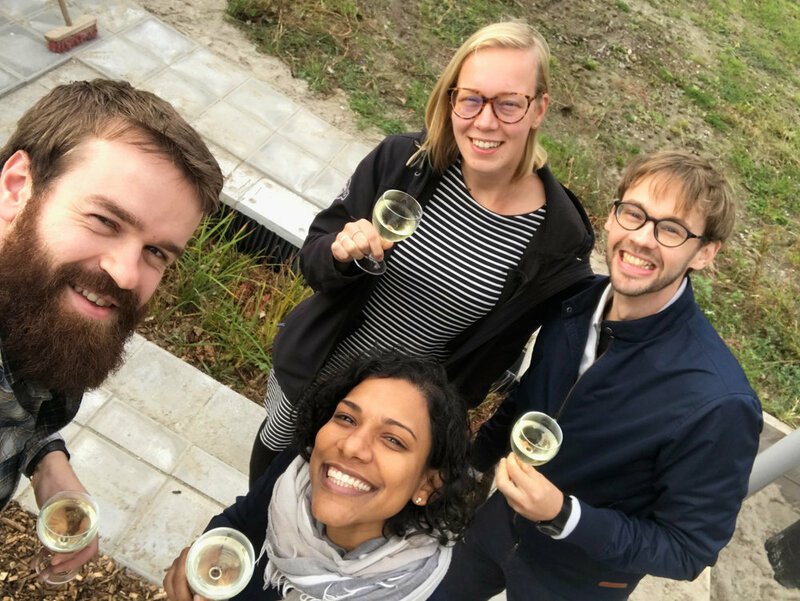 At The Green Village, an innovation test site in Delft, we have been able to implement and test the performance and mechanical properties of our system, including water flow, robustness, stability, assembly method and much more! The first Bluebloqs operational prototype has been developed within a year, by deploying large-scale 3D-printing. Using Autodesk software, concepts were quickly modelled and tested on scale: the scale got larger as the design got more detailed. By installing the system ourselves on site, we could test first hand the assembly and installation principles: some assumptions failed as soon as we started! 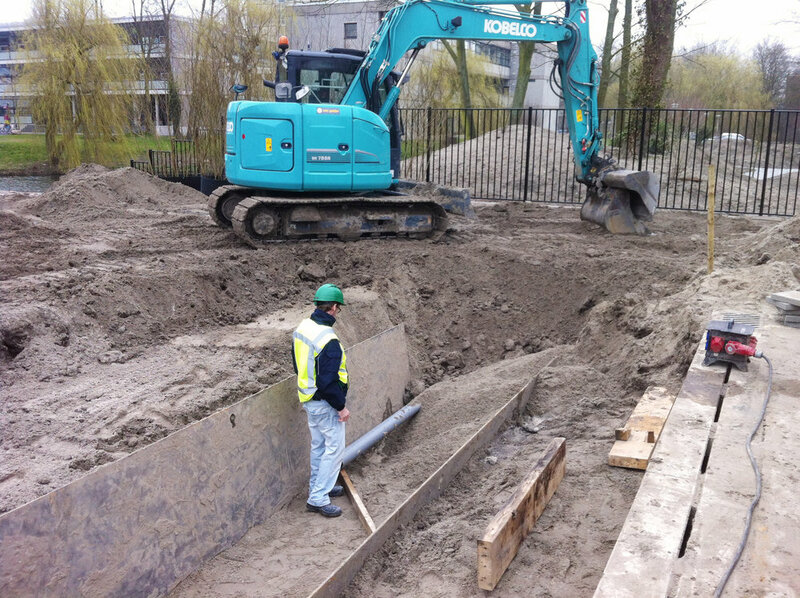 Contractor Van Gelder, who supported us on site by realising the excavations and piping work, provided us with practical insights to optimise the assembly and installation guidelines. Although the test site consists of 6 m2, we saw a lot of cubic meters of sand moving. The system performance and mechanical properties have been tested and validated for mechanical robustness and stability, water tightness of system connections, water flow rate through the system components. It has been very rewarding to finally see our system in operation last October. Using 3D printing allowed us to see our working product full-scale, test concepts and continuously iterate throughout the development process, before sending the design to the manufacturer for the production of the first batch of the Bluebloqs components. We are looking forward to achieving our next big milestone: the realisation of the first full scale pilot application of Bluebloqs at the Sparta Stadion in Rotterdam, in March 2018.